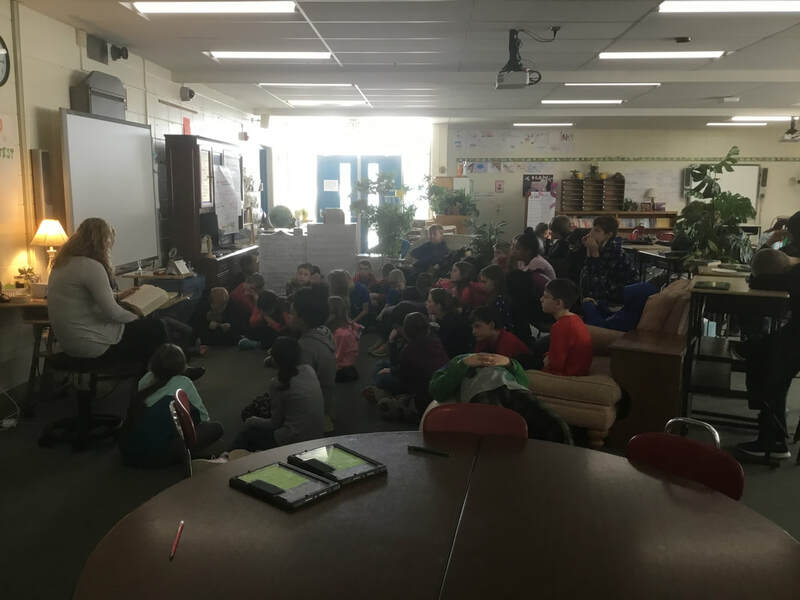 Team Persistence researched animals and their habitats through Skype sessions with the Wildlife Center of Virginia, Jennifer Nolan (author of Sea Turtles Up Close), and Wyoming State Museum. 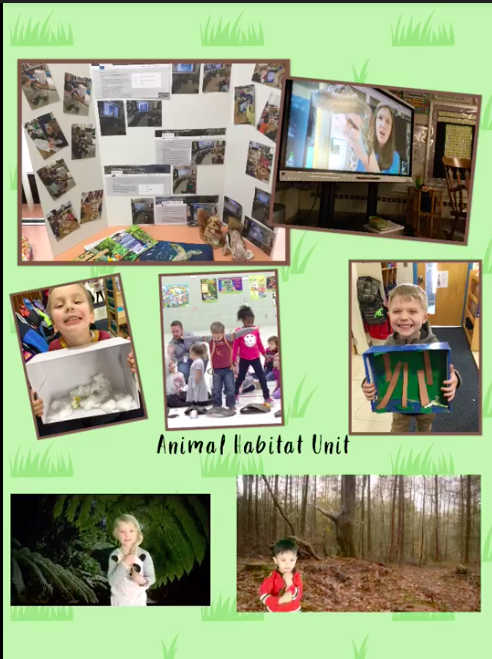 After learning about animals on PebbleGo, students created dioramas and green screen videos to share their new learning. 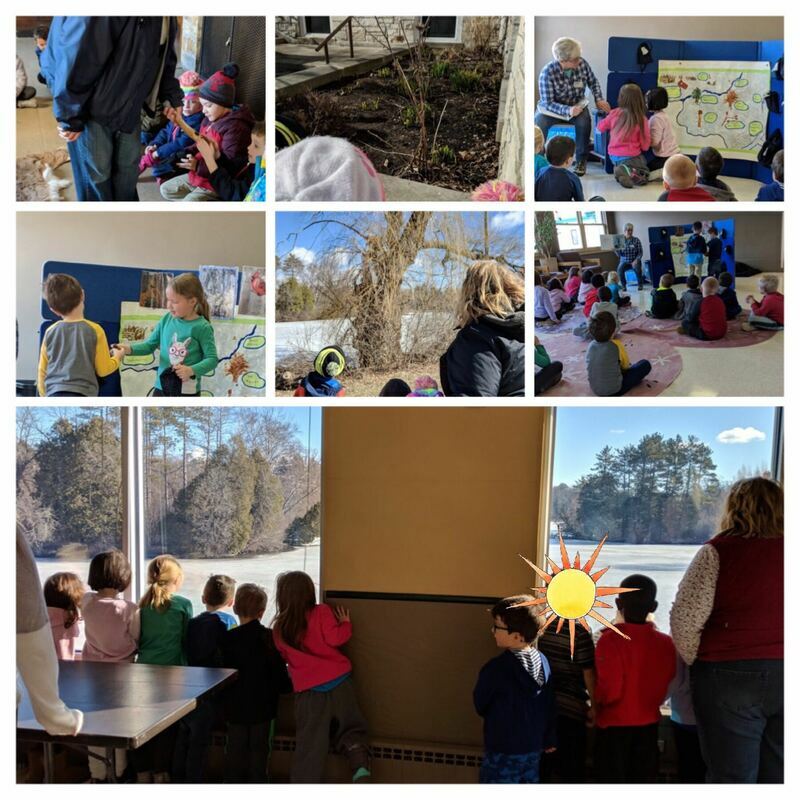 We walked to Greenfield Park for a Wehr Nature Center field trip learning about Snow Tracks! We looked for animal tracks in the mud, learned about where animals stay warm in Wisconsin winters and were nature detectives. Our 5th grade band students are preparing for the All City Band Festival on April 24th at West Allis Central. 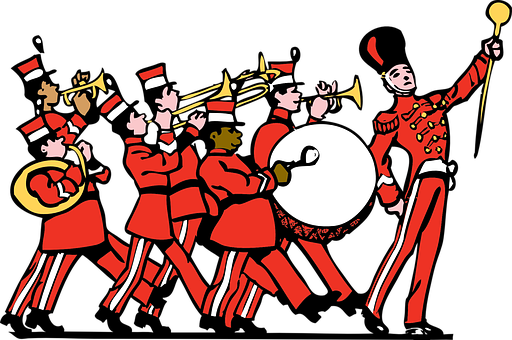 We have a rehearsal on that morning with all of the district band students to prepare for the 7:00 p.m. concert. Students should report by 6:20 p.m. Please consider joining us for this exciting concert! 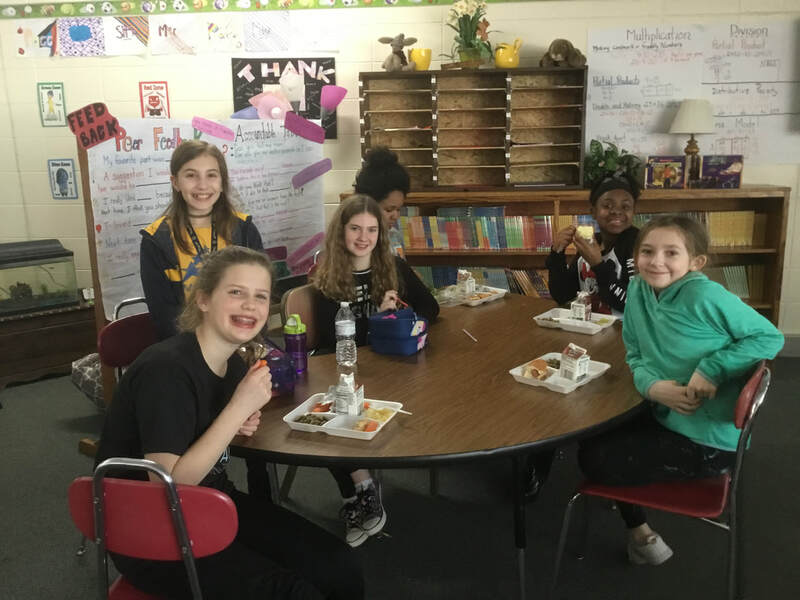 Enrichment Committee​ received a grant this year to be a part of the My Plate Demonstration. 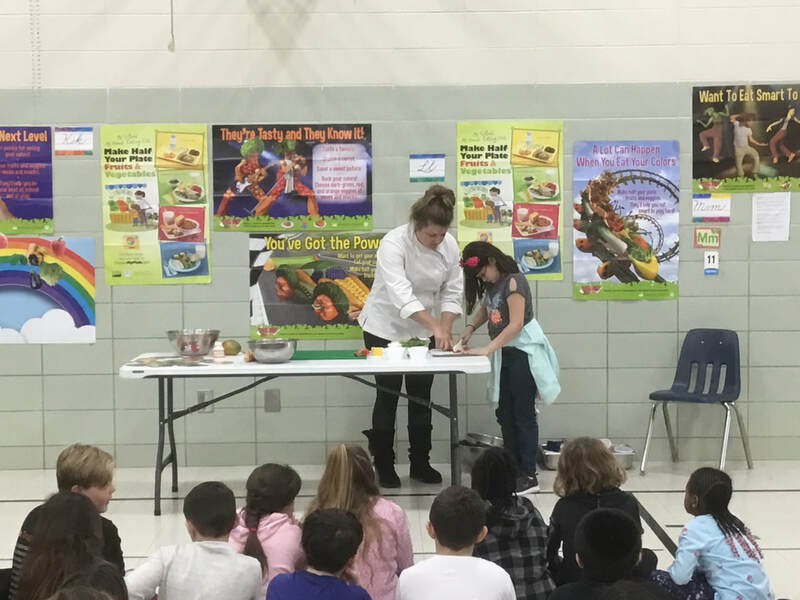 In February we welcomed Chef Julie to our school to share with us the importance of eating fruits and vegetables. At the assembly she demonstrated how to make two very yummy salads. Students then enjoyed samples of each of the salads and took home the recipes. In March Mr. David Stokes visited our school (thanks to Mrs. Barber). 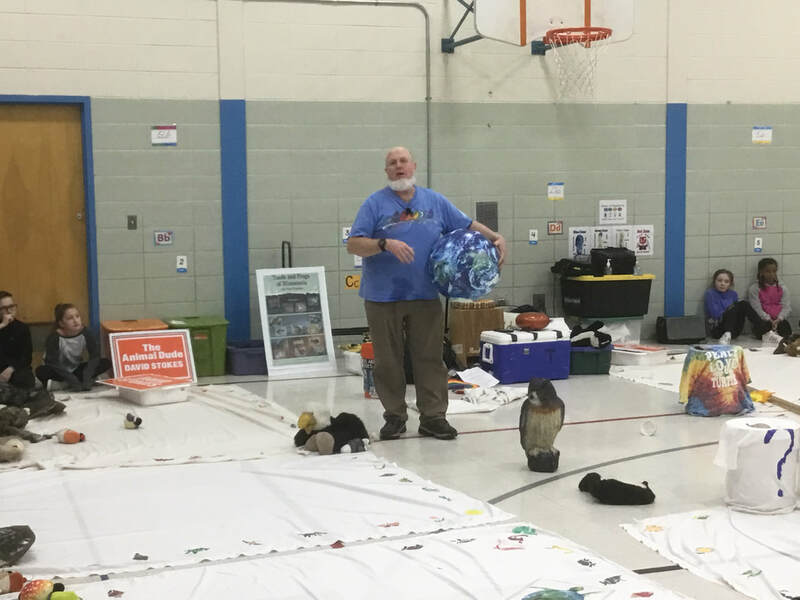 His assembly was a fun hands on informational presentation about animals. Team Respect​ has been exploring force and motion with push and pull activities. 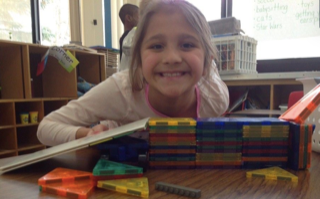 Students worked in groups to create ramps for hot wheel cars. They predicted, designed, and tested which ramps would make the car move faster. Team Integrity ​has been immersed in Earth science these past weeks. 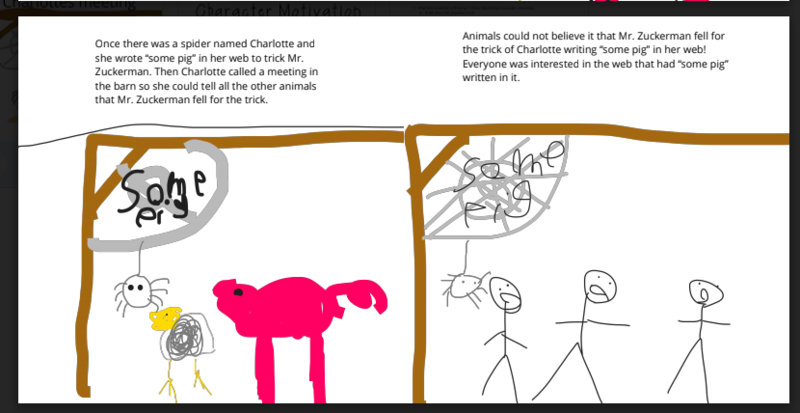 Each child has applied their learning on day, night, or the water cycle in some form of media. 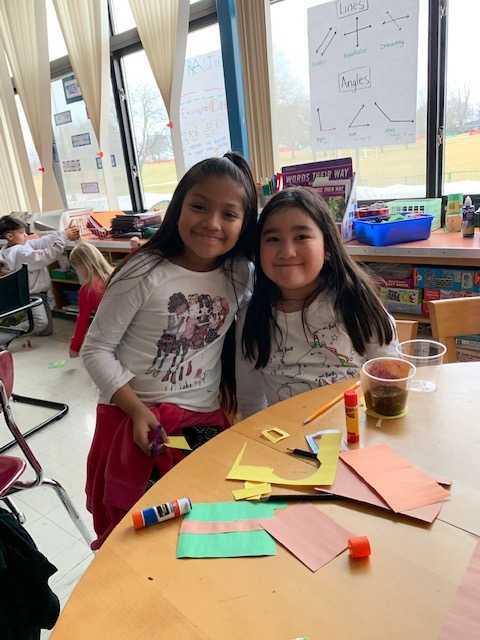 The first graders made videos to show their learning and the 2nd and 3rd graders on Team Integrity worked on showing their knowledge through creating brainpop videos or keynote presentations. 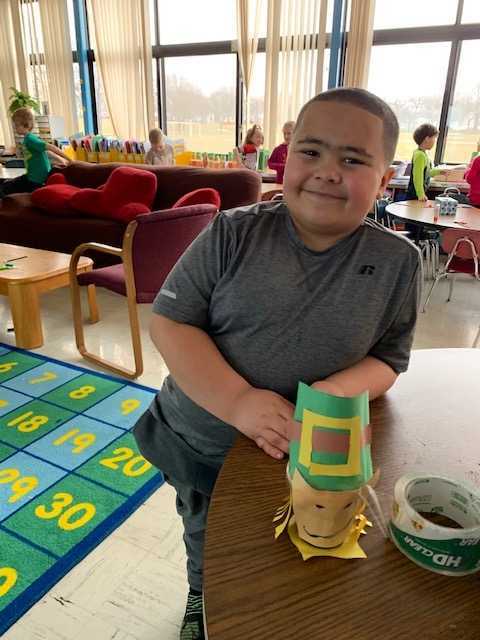 Please click on our seesaw link to check out our projects! Please add feedback! 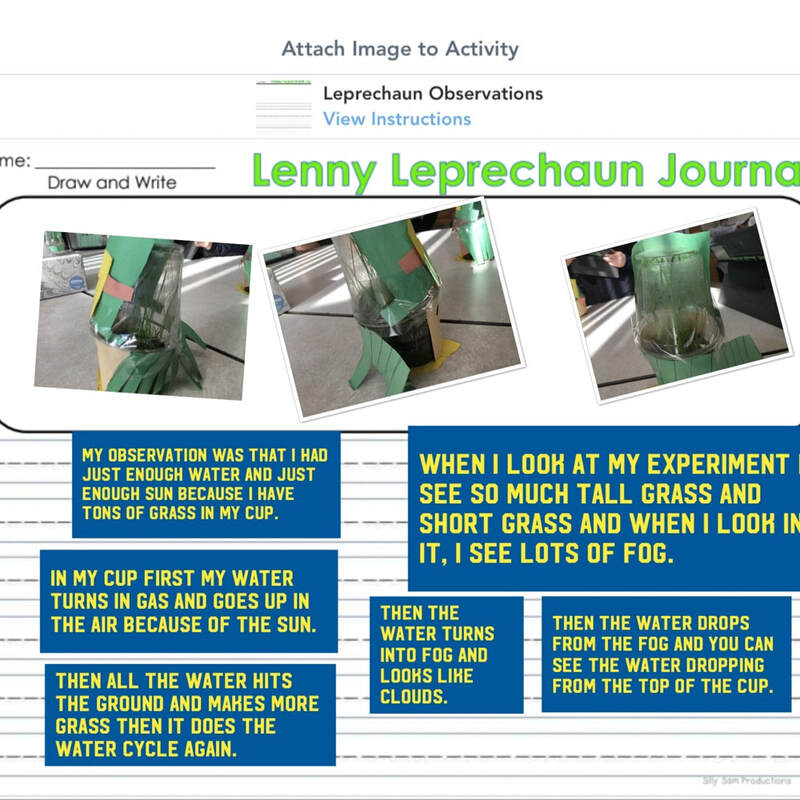 To sum up our Water Cycle unit and March we created "Lenny Leprechaun Terrariums." 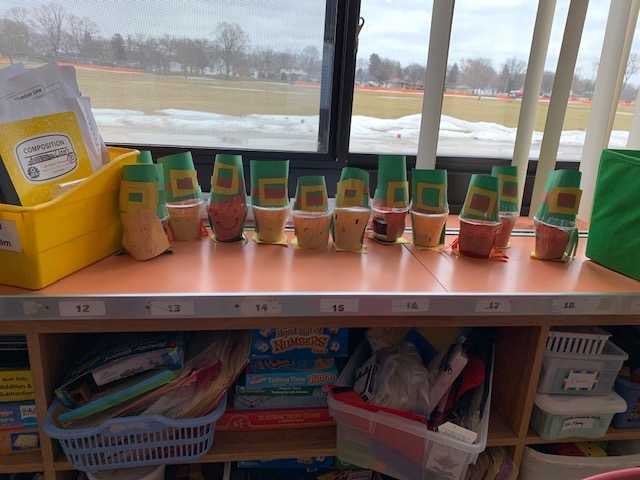 We made leprechauns, planted grass seeds, and we watched as the water cycle started to happen. We taped the top cup to the bottom cup after watering the seed to see if the water cycle will start. When we see water droplets on the top cup, that is the water cycle in action! This week we saw little roots shooting down, and then green grass sprouting up! They then observed and reported on how their leprechauns were doing! Happy March everyone! 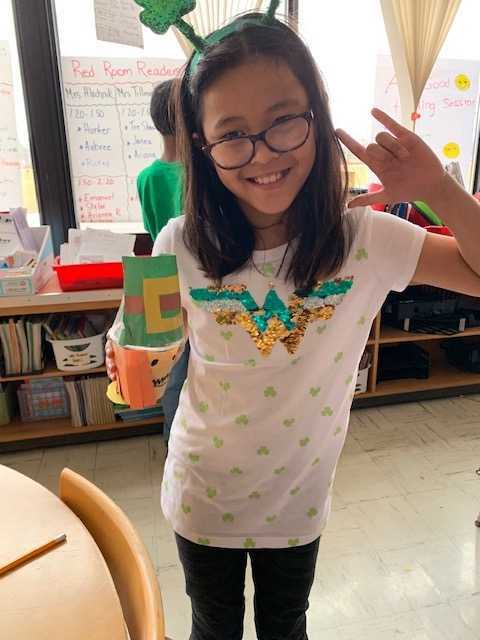 This month, Diversity ​has been hard at work learning about landforms and discovering what they look like. We have some great artists in Team Diversity and are so proud of their diverse artistic abilities! 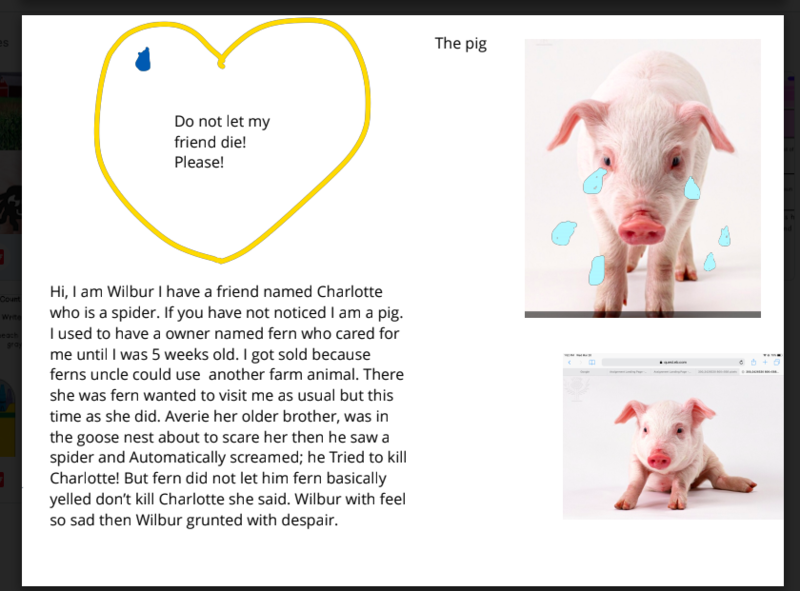 Diversity has been hard at work using new apps such as Keynote, and Book Creator to show our learning in new and exciting ways. 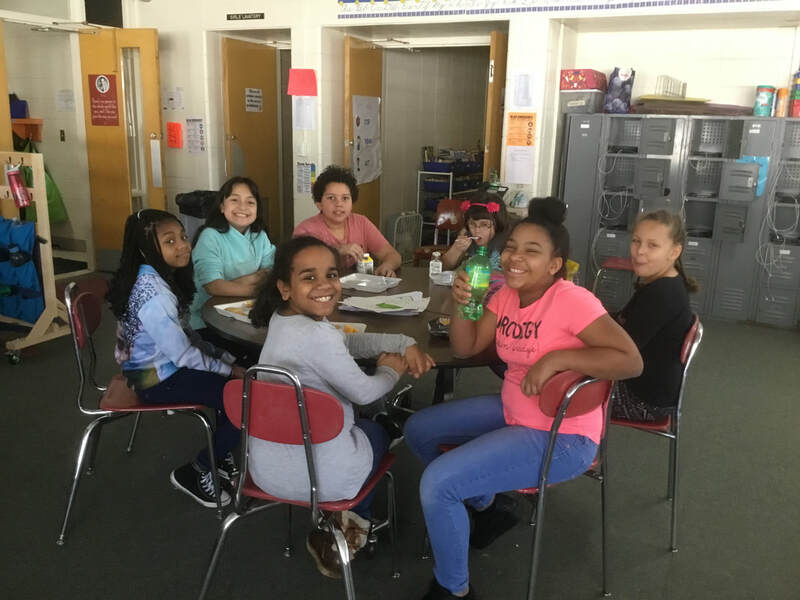 Over the past couple weeks four new lunch bunch groups have begun! 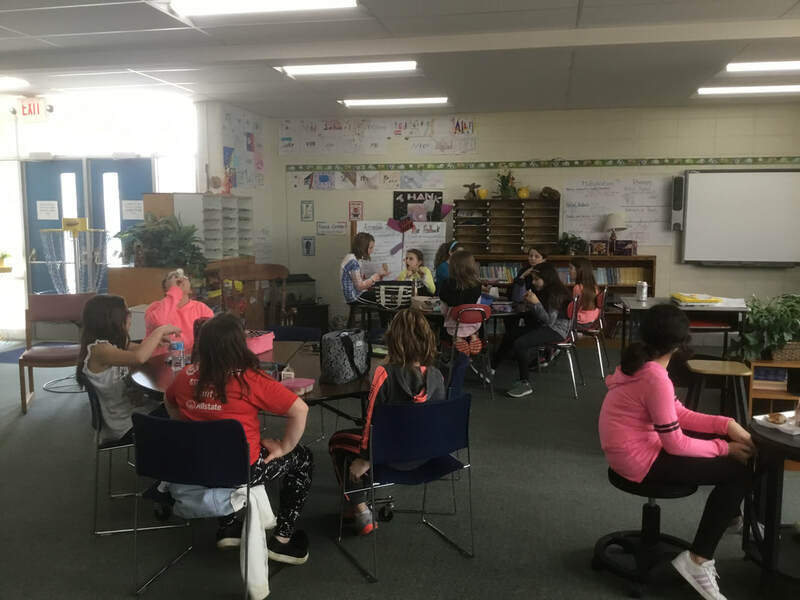 Friends meet together with Ms. Brownell and Ms. Brandi during lunch time and are working on a range of friendship skills, growth mindset, and calm down skills through fun themed games and crafts. 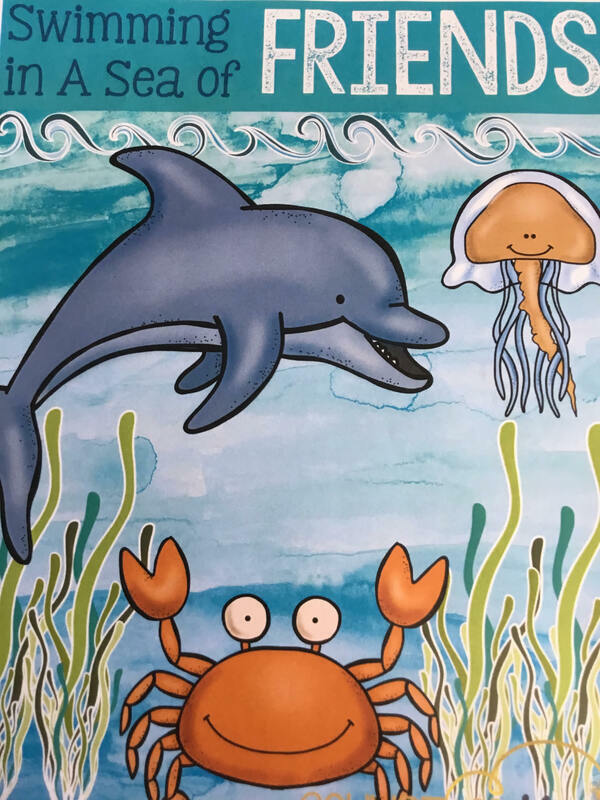 This groups theme is ocean friends! Currently friends are learning what it looks like and sounds like when we are showing good friendship qualities. Our 4th and 5th grade classes are completing our Careers and Individual Planning Conference Unit. 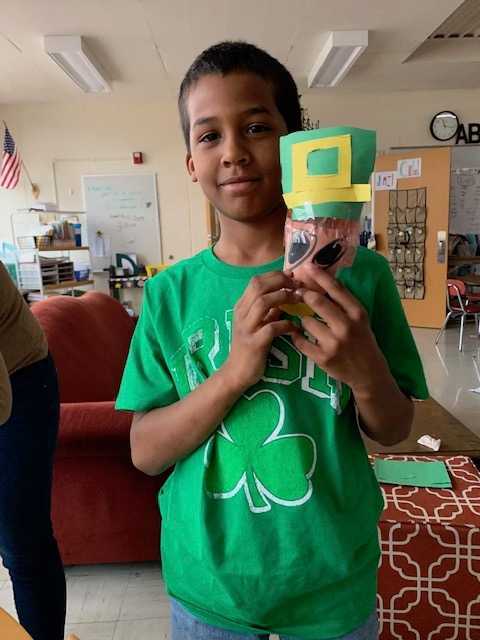 Students are exploring skills and strategies that help prepare for middle school, as well as exploring interests and learning styles that connect well with future careers. 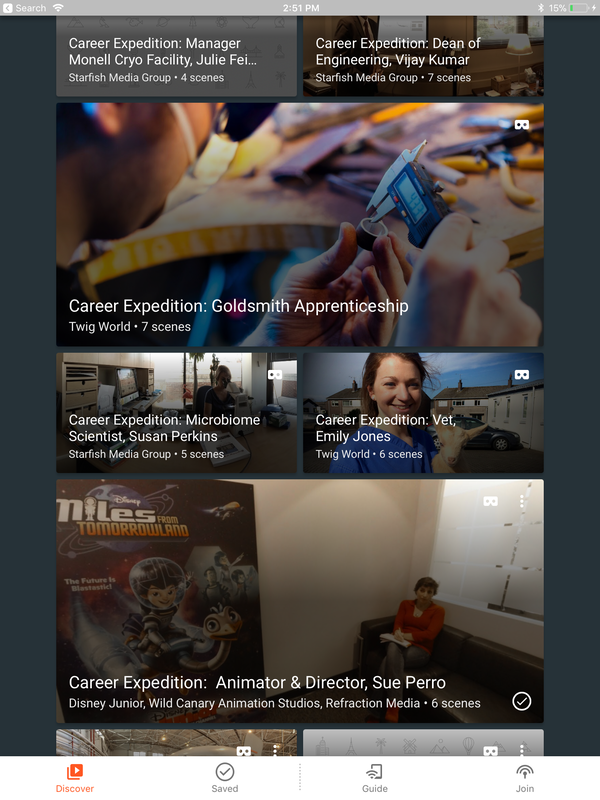 After spring break students will continue creating the individual learner profiles and we will be working with Google Expeditions where students will explore "A Day in the Life" of careers they are interested through augmented reality!